Have you joined in on the newest YouTube dance craze? Grammy award winner TobyMac and his Winter Jam 2013 tour-mates skipped the Grammys, but they are getting their shake on! YouTube has been shaking with the newest dance sensation called “Harlem Shake”. The Winter Jam team, vocalist Adam Cappa and his touring crew recently posted their own versions of the first dance to replace “Gangnam Style” in 2013. Will the “Harlem Shake” sweep the word like Psy’s horse dance? 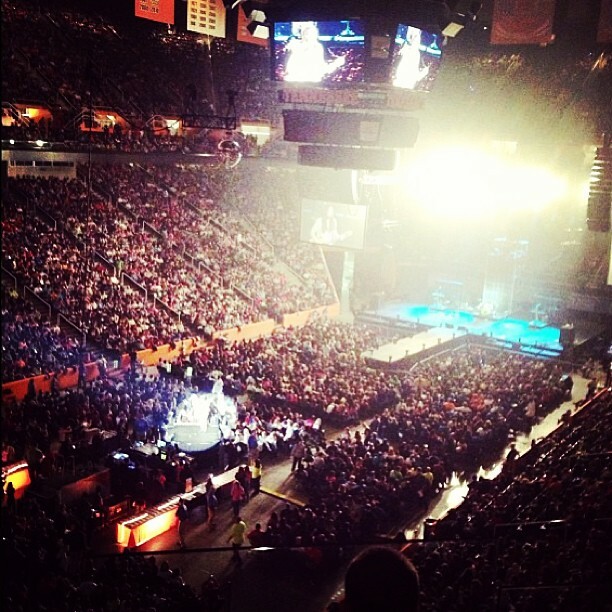 All rights to the image and videos belong to Winter Jam and flydrumma. This entry was posted in Music, Technology and tagged Adam Cappa, Harlem Shake, TobyMac, Winter Jam. Bookmark the permalink.